Caskets, Urns, Headstones, Monuments Factory Direct, Funeral Flower Outlet Store. You Never Overpay. Reliable Quality, Lowest Price, Wide Selections, Best Services. $4,000,000 liability insurance protects your rights & our quality. You are under no obligation to buy caskets or urns from the funeral Home. In Canada, the law protects the consumer by allowing you to purchase funeral items, such as caskets, from a source other than the funeral home. - Increase any service fee, which is itemized on their written price list. - Treat you or your family any different than if you had purchased a casket from the funeral home. Our caskets & urns are made from the finest materials with the care and detailing that only hand crafting can create. Each casket is individually constructed by a group of highly trained and dedicated craftsmen. The love of their profession shows in the careful details of every casket they construct. From extensive kiln-drying through meticulous matching of wood grains to painstaking hand finishing and polishing, every step is performed with the skill and love of an artisan. The result is that every casket is as beautiful and unique as a piece of fine furniture. Casket Outlet's caskets are made from the finest materials with the care and detailing that only hand crafting can create. wood urn Browse through our selection of Wood Caskets, Metal Caskets, Metal Caskets, Cremation Caskets, LifeTunes, Head Panels to find the perfect match for you and your loved one. Casket Outlet offers many choices of shapes and styles, Such as: Wood, Metal, and Stone Urns. We offer Companion Urn, Keepsakes, Urn Ornament and Engraving Services as well.We invite you to visit our online selection where we are sure you'll find a "one of a kind" urn to memorialize your loved one. Quality & Unique Headstone, Markers Casket Outlet offers many choices of shapes and styles with wholesale price urns Canada Headstone Factory Direct. Save Up to 75% than Cemetery. Flower Outlet Store is owned and operated by Casket Outlet. Carefully designed respect for your loved one. urns We offer professional service with our designer and serve you best. - Free Shipping to your local funeral home or home, anywhere in Canada. No hidden fees or postage. - Your casket is insured against damage and is guaranteed to arrive on time directly to your funeral home. We will clean our product before delivery. - Your satisfaction is our top priority. If a product does not meet your expectations, simply return it and we’ll give you full money back. We understand that an untimely death of a loved one can bring visitors from around the globe to mourn with you and your family. Visiting family members may come from around the world as soon as they hear the unfortunate news, and proceeding with early funeral services may be necessary to accommodate the out-of-towners who are visiting for a short period of time. 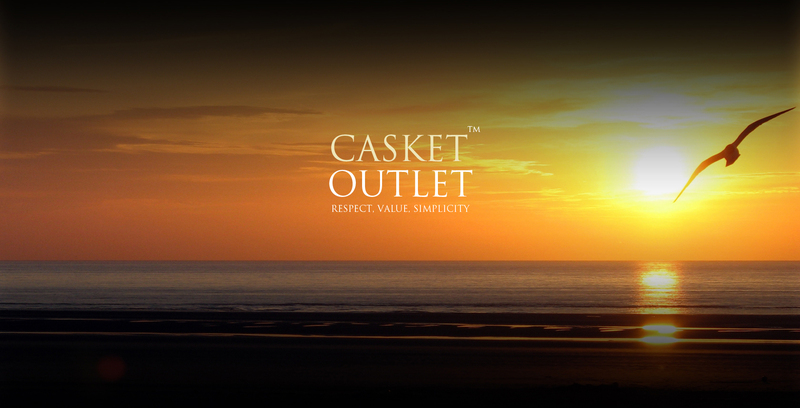 At casket outlet, you can receive your factory direct casket on the same day if needed. For rush deliveries, Casket Outlet is your ideal provider of rush caskets and urns in Ontario and around Canada. Endowing your late loved one with a beautifully crafted casket is one way to express the wonderful life your family member lived. A professionally crafted casket can express without words that your loved one was cherished and adored in his or her lifetime. All of our caskets are individually hand crafted by a team of passionate craftsmen who view casket making as an art form. Our caskets are rich with detail and only made from the finest materials. Casket Outlet has showrooms in both Toronto and Montreal and offers same day delivery of caskets and urns to anywhere across Ontario and Canada. Contact us online today or call our Toronto location at 905-282-0555 or our Montreal location at 877.982.0555. 2008 - 2019 - Casket Outlet. All rights reserved.